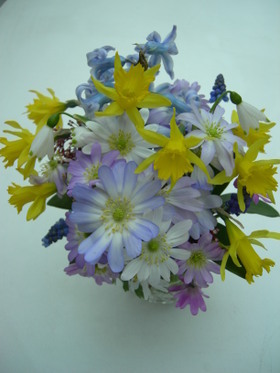 Hyacinth, anemone, daffodil, snowdrop and muscari provided a colourful, miniature and fragrant display this week. Really pretty. What sort of anenome are they? They're not what I associate with anenomes at all. I'm afraid I don't know as they were planted long before we got here. What anenomes did you have in mind?